At Dunte, beside the sea. In a separate bulding is located a fireplace room, shower, WC, kitchen. Sleeping room in the roof floor. Second sleeping room with a separate entrance, shower, and WC. In the sill building is located a fine country sauna. On the seashore is located a holiday house. Sunset, mist, crane clamor, the scent of forest and meadows, the murmur of bees in the mellifluent linden flowers - these are just a few things of what You will receive, visiting the guest house Punkas. 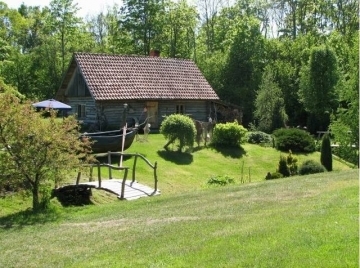 A country house surrounded by forests 9 km from Limbaži, not far from the source of Vitrupīte river and lake Dziļezers and Riebezers complex nature reserve. For guests in a separate house are rooms for staying overnight, kitchen and a fireplace room. 7 km from Saulkrasti. 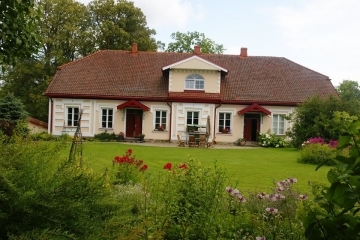 Country sauna, fireplace room, kitchen and sleeping room with separate entrance in 1st floor. In 2nd floor 4 sleeping rooms. 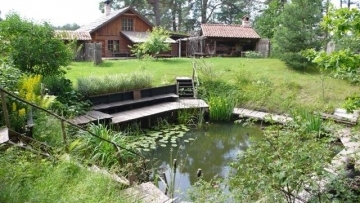 In nearby building are located rural and ''black'' saunas. 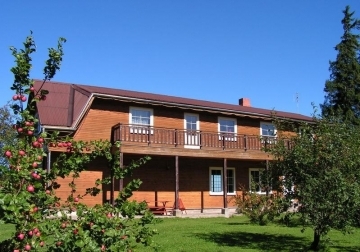 A marvellous place of relaxation for lovers, company staff – 60 km away from Riga in the direction of Tallinn, 6,5 km from Skulte beach. A nice place for celebrations for a smaller number of people. 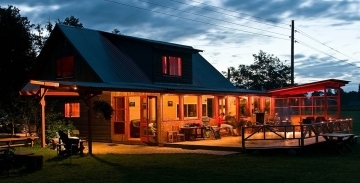 It is possible to stay overnight for 26 persons. 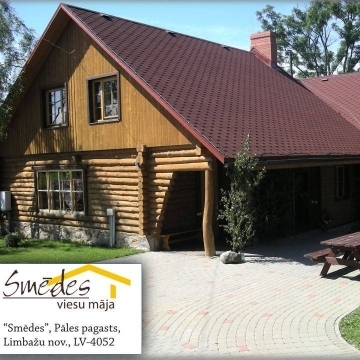 4 km from Pāle, at the banks of Svētupe, for relaxation or celebration - guest house with fireplace, kitchen and five bedrooms, a pool and 15 bedplaces in the attic. 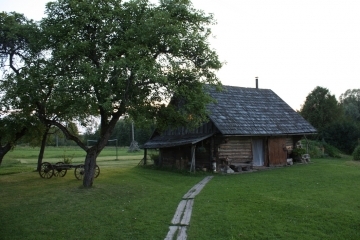 Country house 14km from Limbaži, where guests can take part in country homestead chores, to learn the gathering process of herbal teas, to enjoy a real country sauna and view ancient household tools. Bath house with a pond, fireplace room, accomodations, places for tents, camp fire places. For active recreation: volleyball and football, swimming and fishing in the pond, swing, darts, novus, etc.